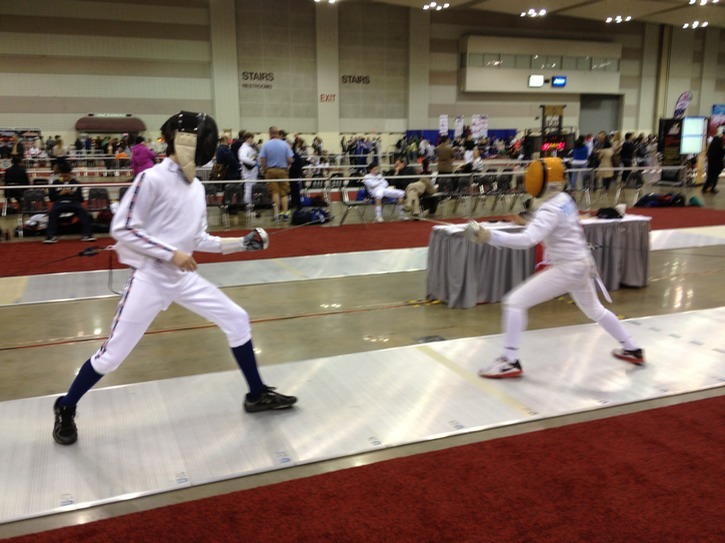 MHEA Fencer, Alexander Knowles (L) fencing at North American Cup 2014 in Memphis! Learn much more about the history and interesting people of Modern Fencing by signing up to join the Memphis Homeschool Fencing Team! Fencing is very much the kind of sport many homeschoolers would be interested in and at least, like to try. If you are an MHEA member (Memphis Home Education Association), we offer $10 off the normal training fees - you must present your MHEA ID when filling out the paperwork in order to be allowed the discount. Please note: you do not have to be an MHEA member to be a part of the homeschool fencing team.